Swansea and the Gower Peninsular is one spectacular piece of coastline. As I stated in the Three Cliffs Bay post you can’t really go wrong on any stretch of the South Wales coastline. 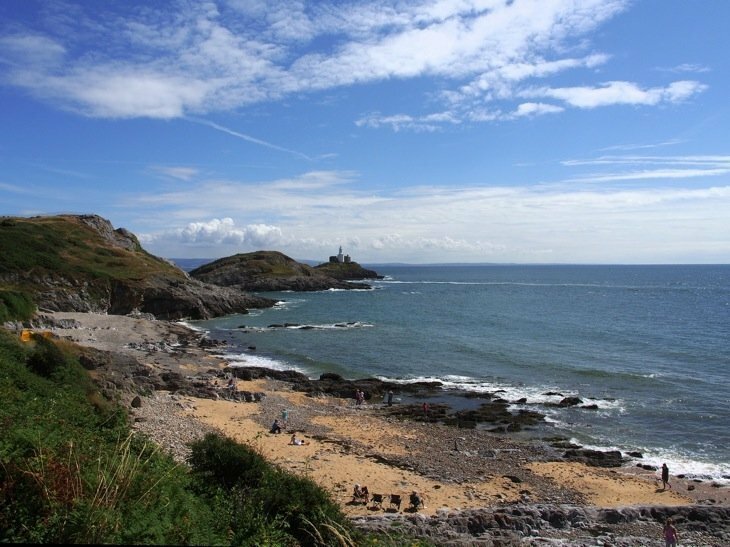 Just 20 minutes or so along from Three Cliffs Bay you come to the headland of The Mumbles, or sometimes known as Oystermouth. 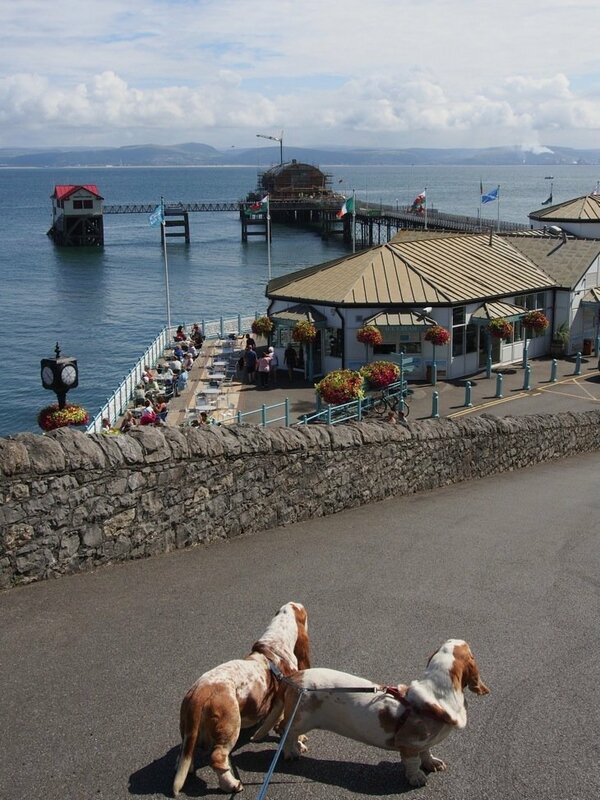 The Mumbles, Love that name! Where does it come from? Well in these photos you will see the two small island rising out of the sea in a certain shape. The strongest case you find from history for the name is French sailors of noting their similarity with breasts ‘mammelles’. 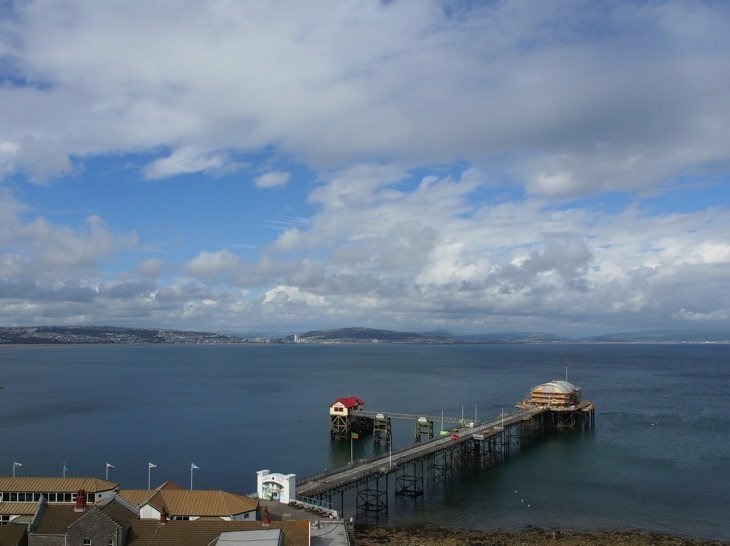 This headland of The Mumbles is known by many as the gateway to the Gower Peninsular at the other end of Swansea bay from the City. 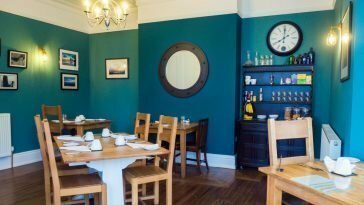 Only a few miles outside Swansea to the West it lays claim to not only natural beauty and a sense of ‘wow’ but plenty of history to go with it. 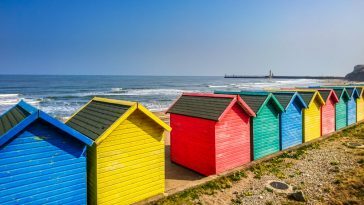 The Victorian pier was built in 1898 and has come a long way back to glory thanks to current refurbishing. 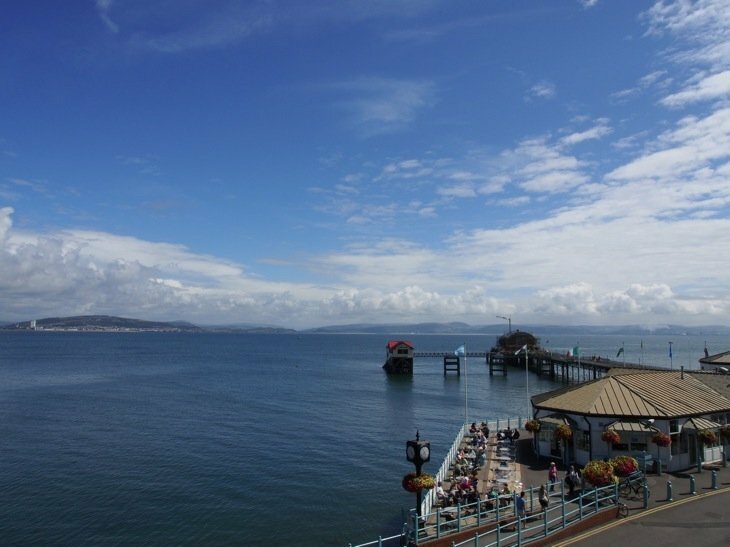 I could see many enjoying lunch in the sun on the pier with views across to Swansea across the Bay. Such wide views. Rich in Limestone the headland was quarried long ago. To take the goods to Swansea a railway was built. That was in 1804. In 1807 it became the first fare-paying passenger railway in the world, tourism became a draw to the headland at the time. The railway continued, drawn through all incarnations of power in time, horse, sail, steam, electric petrol and diesel, a world record for number of types. It was finally closed in 1960, and at that time it was of course the longest serving railway in history. Today it is buses, car parks and a great long promenade in place. So much going on around the corner from peaceful coast. A little of everything. If you want an incredible sea view to simply admire or to take some peace then there is a car park up top, head on up past the pier. From there you get the views over The Mumbles, over Swansea Bay and I found it to be the least busiest spot. incredible. 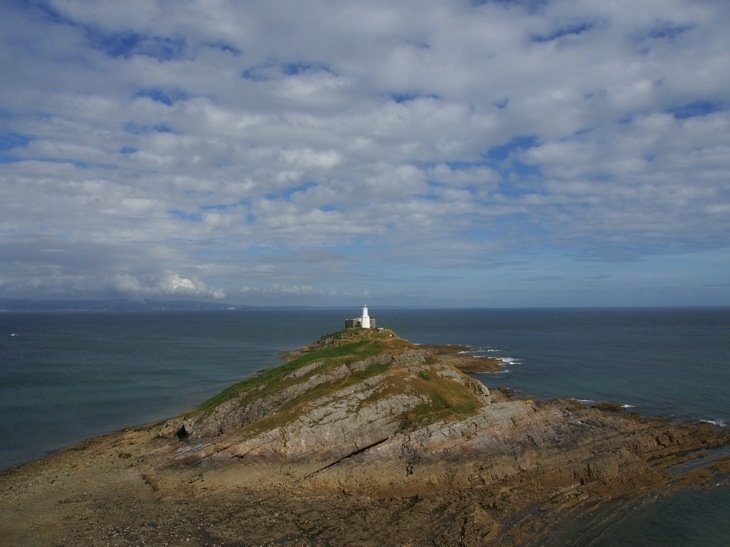 The great white lighthouse that sits on the outer island of Mumbles Head was built in 1794. 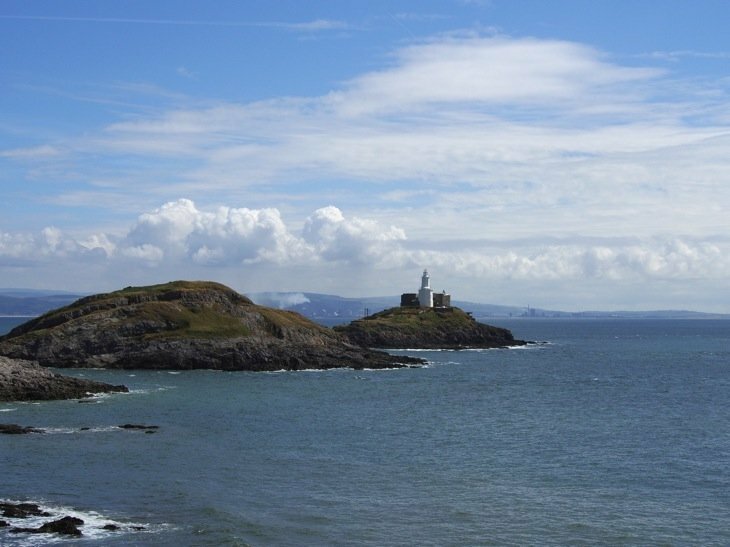 It is unmistakable and can’t be missed from view all the way around Swansea bay, all five miles of it. Finally, another treat! 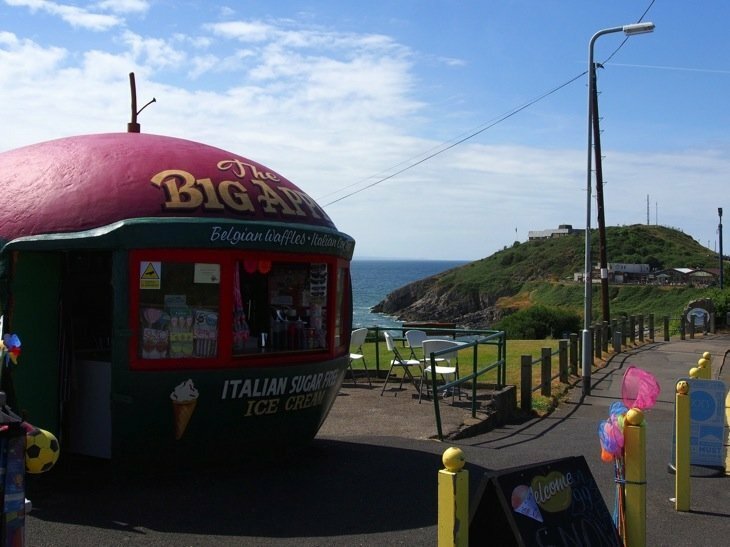 In this car park up here sits the ‘Big Apple’, to buy ice-cream of course.. A great landmark here in its own right since the 1930s, it would have been rude not to ;). As you wander the area you get to see that ice cream parlours are plenty abound to be honest. spoilt for choice. An a sea view to boot! 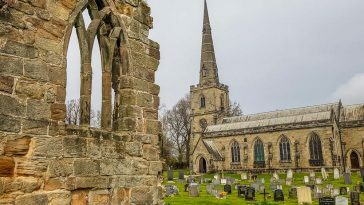 A place I just have to visit. Thank you for all the info, historical and otherwise.